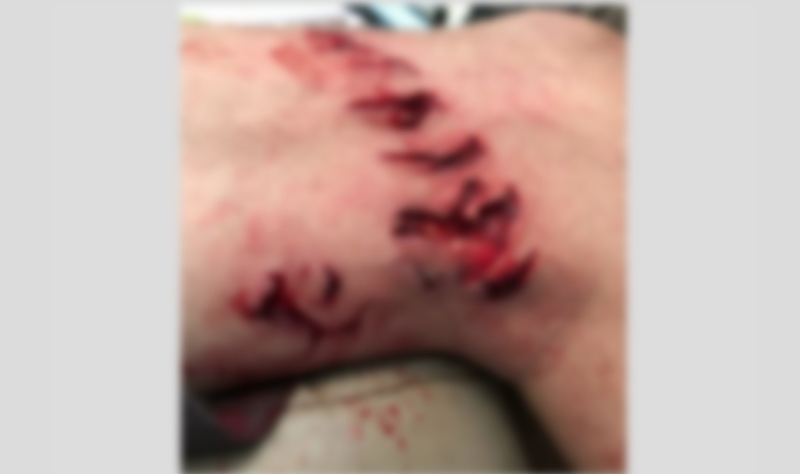 This photo shows the injury a 42 year-old man suffered Thursday after a shark attacked him when he was swimming in Crystal Beach. A shark attacked a 42 year-old man in Crystal Beach Thursday, the Galveston County Sheriff’s Office reported. Crystal Beach is located 17 miles northeast of Galveston and the man had been swimming near Stingaree Road when he felt the bite. He walked to shore and alerted a deputy who then transported him to the EMS station for first aid. The man is now at the University of Texas Medical Branch (UTMB) receiving care. The injury was not life-threatening and he is in stable condition.